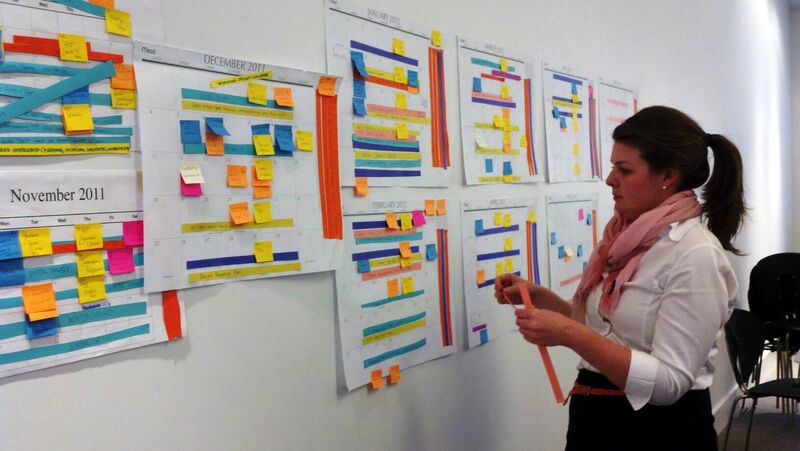 At our calendar planning meeting for education, we use color-coded post-it notes and paper to plan out our events. Everything from school programs, to teacher trainings, to gallery events finds a place on the wall. My colleague Rachel snapped a photo as I couldn’t help but pause and appreciate the colorfully ordered-chaos that we created for spring. It reminded me of the bars of color in Gene Davis’s Jasmine Jumper (1966). This entry was posted in Experiment Station and tagged behind the scenes, Education department, programs. Bookmark the permalink. A Beautiful Mind – only happy, not tortured!